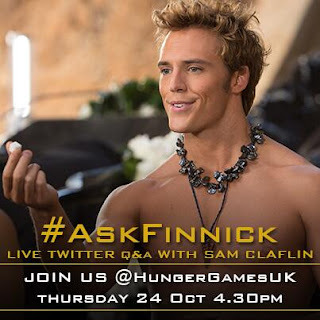 Sam Claflin took over the official @HungerGamesUK Twitter account this afternoon to answer fan questions about his character and Catching Fire. #AskFinnick even trended in the UK and briefly worldwide during the Q+A! Check out the timeline for all the questions and answers!